For your next large format printing or graphics project, let the team at SpeedPro Imaging Norcross handle it. Our studio in Norcross, GA, is co-owned by Don Neder and John Barber, and is located on Peachtree Industrial Blvd. We serve the Greater Atlanta area in addition to producing and implementing projects across the country! We’ve been serving the interests of our clients and community for over eleven years. WE MAKE GREAT. BIG. GRAPHICS. Whether you run a fleet of vehicles, an event venue, advertising or marketing agency, we can provide you with the graphics to grow your companies brand. 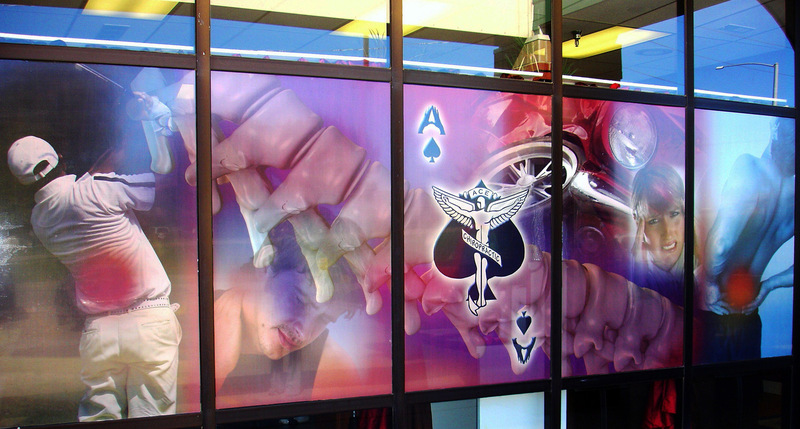 We produce a wide array of products including banners, wall, floor, and window graphics, outdoor building signage, monument signs, and vehicle graphics. Our wraps are the perfect solution for fleet owners and any service industry businesses looking to put advertisements on trucks, cars, and trailers (we do boats too!). Our goal is to help clients effectively promote their brands through high quality graphics delivered free of errors and on time. We’ll use our expertise in visual communications to develop a solution specifically for you. The majority of our projects take us just two or three days to complete. When you choose Speedpro Imaging of Norcross to create your visuals, you’ll receive service backed by 55 years of combined experience. Operating throughout the Greater Atlanta area, we encourage our team of uniquely talented individuals to create to brand specific solutions for our clients. provide our clients. We’ll work as an extension of your marketing team to make sure our products are right for you or your customers. If you’re located in Atlanta or the Southeastern U.S., contact SpeedPro Imaging of Norcross today and take advantage of our amazing large format printing services. Products are great quality. Service is quick and the staff is always helpful and nice to work with. Very easy to work with. Job came out great! Best price around and flexible for my schedule. John and crew are the BEST!! !